I just registered to this forum. I am the owner of an Enthoo Mini XL DS case that I modded just slightly. I 3D-printed a bracket to mount the SFX PSU in a place that makes more sense than where Phanteks originally put it. That is to say, up top behind the optical drive bays, instead of down bottom at the opposite of the ITX setup. I also made holes in the top for a fillport, conveniently hidden by the top cover of the case. And to bring the juice to the SFX PSU, I had to use this kind ot pass-through that I bought used from a Dell server, and then used an extension cord to bring the 220V to the PSU. 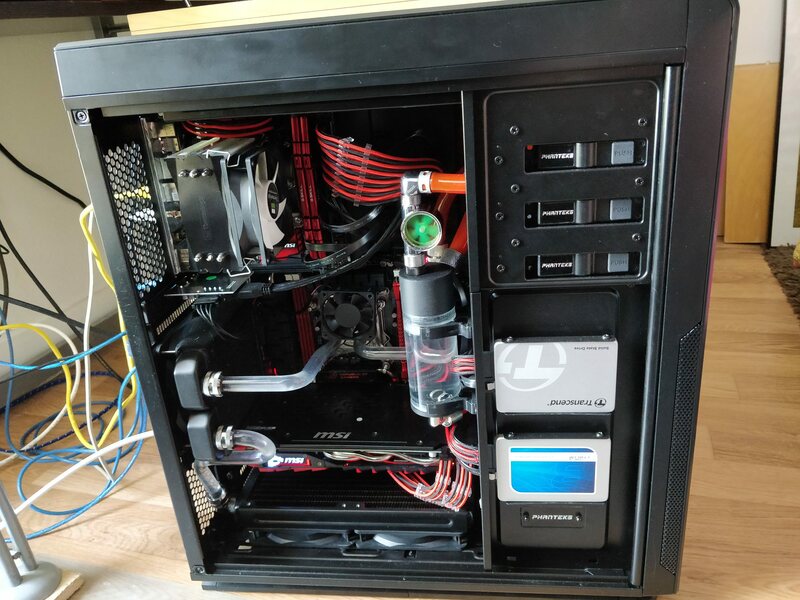 I have crammed the case with radiators. That is to say, 360mm top, 240 bottom, 120 front and 120 back. I am using Arctic F12 PWM fans (which are not the best but priced decently). 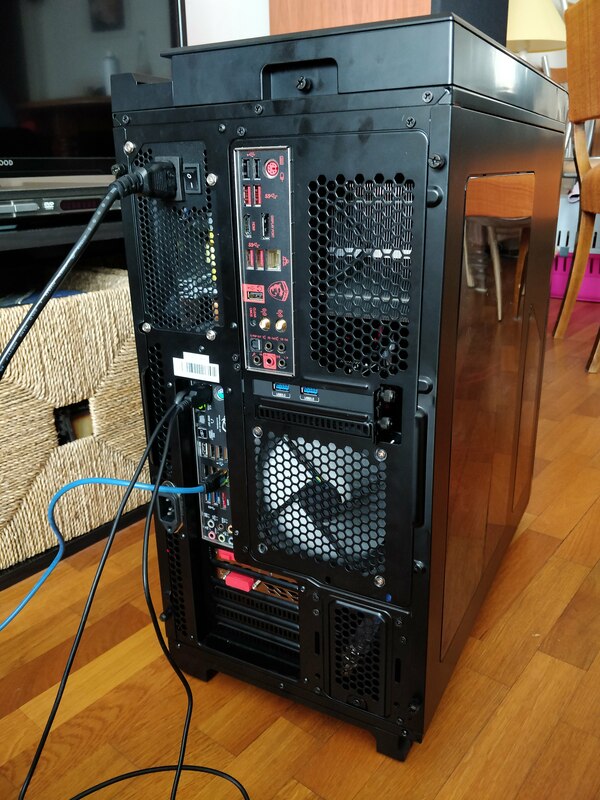 This case fits both my gaming setup and my NAS which runs VMs. 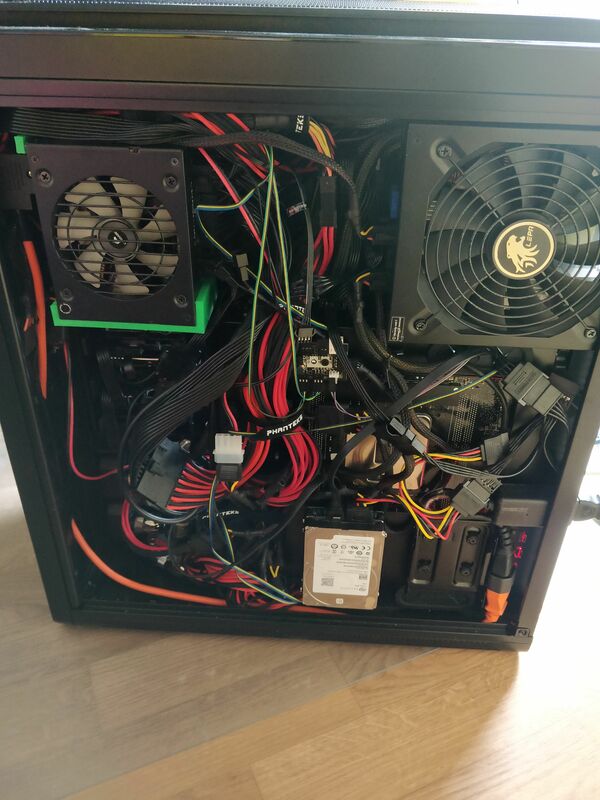 Cable management was a hell of a challenge inside this case because of all the PSU cable extensions I used. I did my best to keep things tidy but getting the rear pannel to close was already pretty much of a challenge. I am considering to move on to the Evolv X, which will probably be better suited for my new setup, since I am replacing my X79 microATX (with a 3930K OC @4.7GHz) setup with a Ryzen 2600-based setup. Less heat inside my toasty room since the 2600 has half the TDP of the 3930K. Hello! Thanks for sharing this. Will keep an eye on this thread. Thanks for sharing, an awesome work! Last edited by KeithiMa; 10-23-2018 at 06:21 AM. hello there , hows going? I can't believe my eyes, you created a super powerful beast !!! The Evolv X would be better suited your new setup. 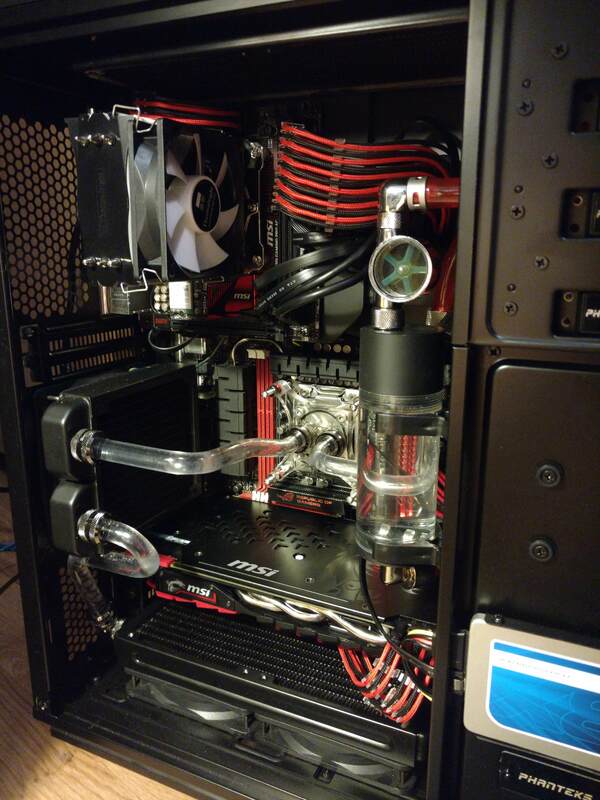 May I ask why you think Evolv X would be better suited?